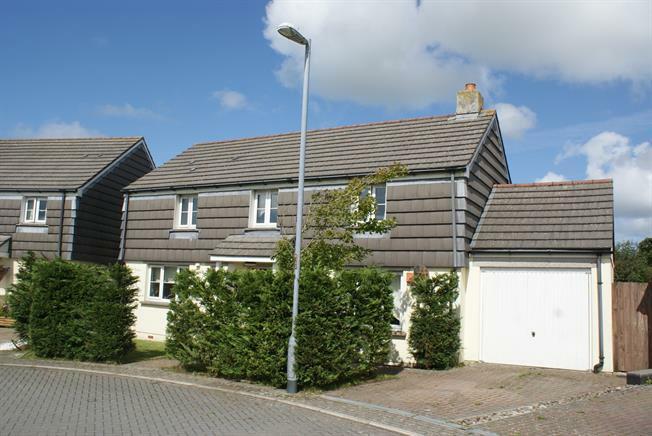 3 Bedroom Detached House For Sale in Delabole for Asking Price £227,000. A well presented, three bedroom detached house with a master en-suite, set in a cul-de-sac position, perfect for a family home. The accommodation comprises an entrance hall, cloakroom, spacious kitchen / diner, family lounge with an open fire, occasional room which can be used a second reception, study or ground floor bedroom. On the first floor there is three double bedrooms and family bathroom. 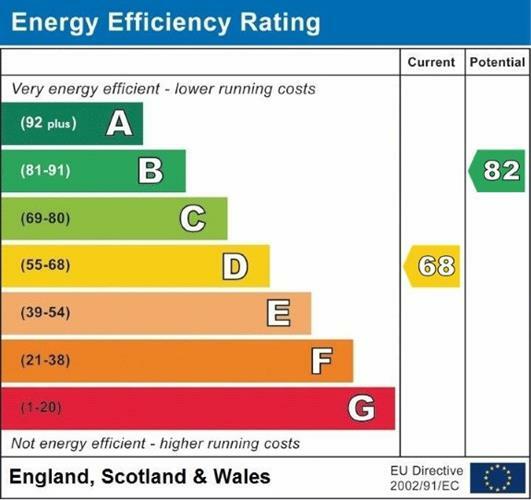 Complemented with uPVC double glazing, oil central heating and driveway parking. Generous gardens to the rear. Offered with No On-Going Chain. UPVC double glazed door into the entrance hall with French double glazed doors opening onto the rear garden. Radiator, laminate flooring, under stair storage area and built-in storage cupboard. Access to the cloakroom, kitchen / diner, lounge and stairs ascend to the first floor. Double glazed uPVC window with obscure glass facing the front. Part tiled walls. Low level WC, wash hand basin. Double glazed uPVC window facing the rear overlooking the garden. Radiator, laminate flooring. Archway to the kitchen. Ample space for a family dining table and additional work surfaces with storage. Double glazed uPVC window facing the front overlooking the garden. Roll top work surfaces, a range of wall and base units, one and a half bowl stainless steel sink with drainer, integrated electric oven, integrated electric hob with an overhead extractor, integrated dishwasher, integrated space for washing machine and fridge/freezer. Double glazed side door onto the garden. Double glazed uPVC window facing the front and rear. Radiator and open fire, laminate flooring. Access into the occasional reception room. Double glazed rear door to the garden. Built in storage cupboards and access to the oil boiler. The room is versatile offering the potential to be used as a reception, study or possible ground floor bedroom, but has the potential to be converted back to the original garage. Double glazed uPVC window facing the front and rear. Radiator, carpeted flooring. Access to the bedrooms, bathroom, roof void and airing cupboard with cylinder. Double glazed uPVC window facing the rear overlooking fields. Radiator, carpeted flooring, fitted wardrobes. Access to the en-suite. Double glazed uPVC window with obscure glass facing the side. Heated towel rail, tiled walls. Low level WC, corner shower, wash hand basin, extractor fan and shaving point. Double glazed uPVC window facing the rear overlooking fields. Radiator, carpeted flooring, built-in storage cupboard. Double glazed uPVC window with obscure glass facing the front. Heated towel rail, part tiled walls. Low level WC, panelled bath with mains shower over, wash hand basin, extractor fan and shaving point. The property is approached over a path to the main entrance. The front is laid to lawn with mature trees providing a degree of privacy. The majority of the rear gardens, considered to be of a generous size is also laid to lawn, with a low maintenance patio area which extends to the side, ideal for outside dining and seating. There is a range of mature trees, plants, bushes with a pleasant water feature and summerhouse. Enclosed on all sides. A viewing internally and externally is highly recommended.